Based at an agricultural college the course snaked through a farm yard, over farm tracks and fields. What made this day so memorable was the organiser’s knack of holding wet races and precedes the infamous Wivelsden Farm race a year later in 2014. 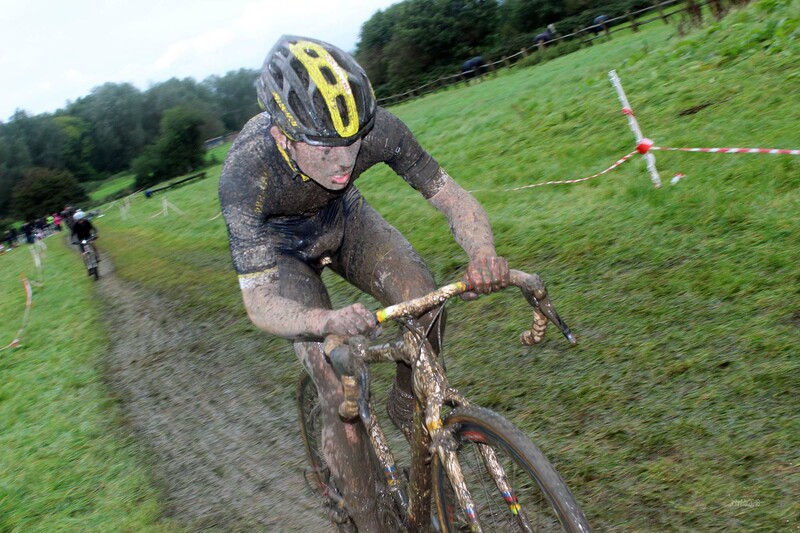 Chris McGovern said: “White kit (which he wore) never fares well at cross races, but it definitely didn’t do well at this one”. Chris bears Mark no grudge and also said: “It was a great course, and really with those kits ruining a few was to be expected”. Video: Despite the rain we were able to shoot video that day.